The results of a new economic impact study demonstrate Ohio University’s significant positive impact on the state, region and Athens community. We recently engaged Economic Modeling Specialists International (Emsi), a leading provider of economic impact studies, in an economic impact study that, among other things, provides a compelling case for maintaining a strong system of public higher education in our state. The study analyzes Ohio University’s economic impact on the state’s economy and a comparison of costs and benefits to determine return on investment. More specifically, the study takes a close look at the impact OHIO has on students, taxpayers and society. Ohio University, its students and statewide alumni added $2.9 billion in income to the state’s economy in 2016-17. That’s 0.5 percent of the Gross State Product. The University’s total economic impact of $2.9 billion supported 40,021 jobs, which represents 1 out of every 174 jobs in the state. Whether viewed from a student, taxpayer or a societal perspective, higher education’s positive return on investment is solid. For example, Ohio University students realize a 12.8 percent annual return on their investment – or $4 in future earnings for every $1 they spend on tuition, supplies and opportunity costs. OHIO alumni benefit from a significant lifetime earnings premium. The impact of former students currently employed in Ohio’s workforce amounted to $2.2 billion in added income in 2016-17. Ohio taxpayers realize an 8.7 percent annual return on their investment in Ohio University – with the benefit coming in the form of future tax revenue and government savings resulting from reducing costs incurred by the state to pay for healthcare, criminal justice programs and unemployment insurance. Over a working lifetime, an average bachelor’s degree completer from OHIO will earn approximately $1,082,400 more than an individual with only a high school diploma or equivalent. The analysis considered spending in areas such as daily operations, research, clinical spending, construction spending, start-up and spin-off companies, student spending, visitor spending and alumni spending. Beyond the numbers captured in this report, OHIO remains steadfast in its commitment to forge strategic alliances between partners and stakeholders, on campus and off, for economic development. These alliances bring together the expertise of individuals and programs in innovation and scholarship, the stewardship of place, and talent development. For example, over the past few years Ohio University has taken steps to develop a strategy – now designated the Innovation Strategy – to ensure that the institution continues to engage substantively with the challenges of the 21st century. That program recently provided funding to three new initiatives that advance interdisciplinary research and student and community engagement. We have also partnered with The Ohio State University and Kent State University on the Ohio Innovation Fund, which helps to foster innovative companies that emerge out of the research conducted at OHIO, Ohio State, Kent State and other public universities in the State of Ohio. One of the Ohio Innovation Fund’s first projects was instrumental in assembling a $5.5M total investment in Global Cooling Inc., a growing company based in Athens County. We have made a substantial investment in TechGROWTH Ohio, a public-private partnership that provides entrepreneurial support to startup companies in southeastern Ohio. The Athens Area Chamber of Commerce recently honored TechGROWTH Ohio with the 2015 Holzaepfel award, the top economic development award in the region. But what does all of this mean for the average Ohioan? If these aren’t reasons enough – consider that Ohio University generates more financial benefit than it receives in tax dollars. It enables the state to retain and create wealth. And, higher education will continue to play a key role in our state’s economic development. College-level learning is key to economic opportunity, competitive advantage and economic prosperity – for individuals, businesses and the state, and I, for one, remain firm in my belief that Ohio University drives economic activity, creates economic opportunity and is a great long-term investment for students and the state. 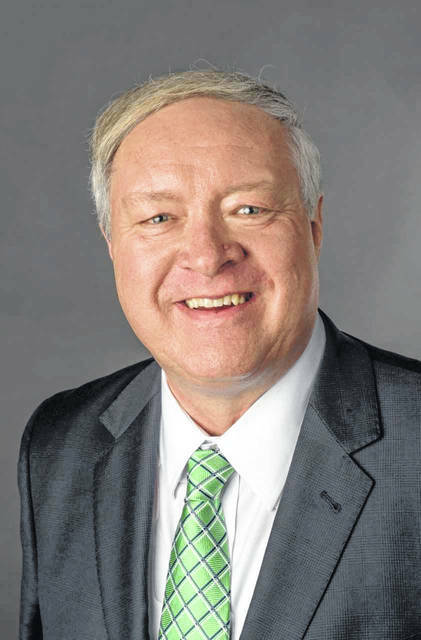 Dr. M. Duane Nellis is the 21st president of Ohio University.